Zoe made it into day 26. Sadly, but blessedly, she is older than you. This morning as I was nursing her, I couldn’t help but relate the experience to you. Since the moment you died I longed to hug you, kiss you, nurse you, wake you from your sleep with a tickle. I didn’t have the chance to do that…I didn’t even get to hug you goodbye; we barely got to say goodbye. I looked into Zoe’s 26 day old eyes, a luxury I didn’t have with you, and I savored my stolen moment with her. Something about it was restorative. God gifts us these magical moments and I’m so thankful that I was in a mind space to enjoy it. 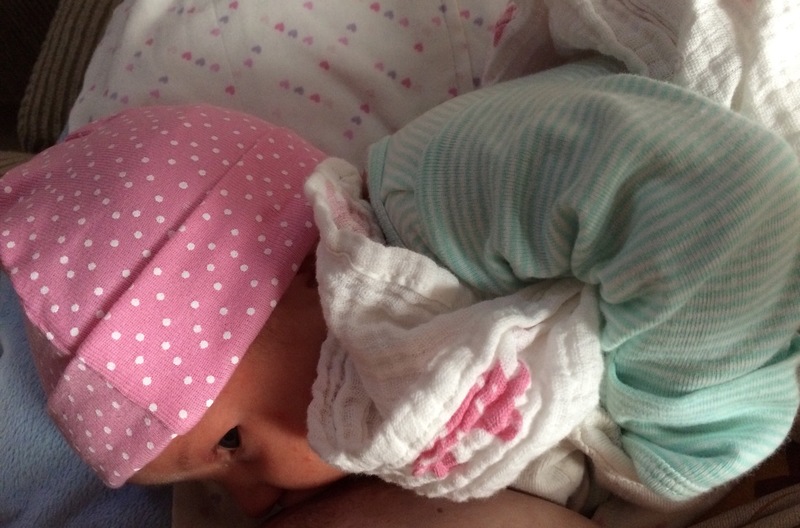 I even took a picture…of me nursing my baby. It’s such a sacred act and to capture that moment, which is seared into my heart forever, seemed only natural…maybe even necessary. You and Zoe are linked together in my heart and I’m so thankful to have her. She absolutely does not replace you; no one will…ever. But, she does heal a bit of my broken heart and each time I kiss her, hold her, just mother her they way I longed to mother you, I feel connected to you. I feel like your heart beats through Zoe. She is such a beautiful blessing and I can’t wait to continue getting to know her. Thank you for sending us such a special girl.